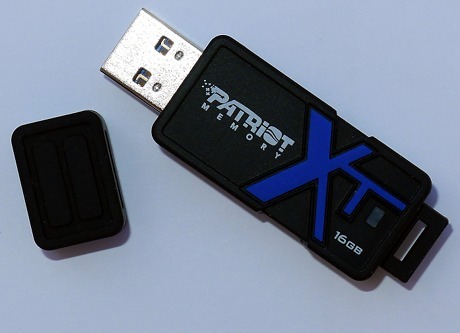 The Patriot Supersonic Boost XT 16G is a USB 3.0 stick offering faster speeds when used with USB 3.0 motherboards. Linux is not mentioned on the packaging, so how does this USB stick perform with Ubuntu and a USB 2 motherboard? 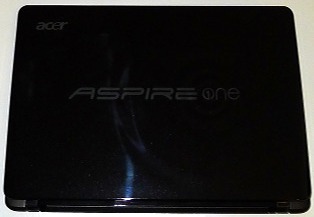 The Acer Aspire One 722 netbook has proven itself to be a reliable, inexpensive netbook for running Linux while offering superb performance. 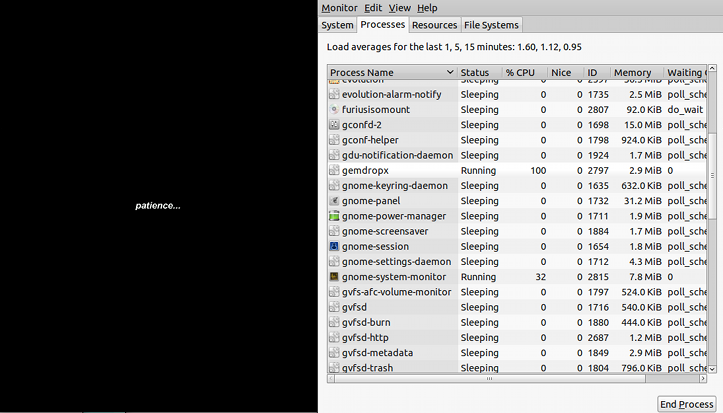 After almost a year of constant usage, it continues to run like a champ. However, it is not perfect, so here is a list of points that prospective owners might find useful. With the Precise mainline kernels held at 3.4.0 while 3.4.5 is the latest stable release, would a 3.4.5 kernel compiled from source code run in Ubuntu 10.10? Curiosity beckoned, and the result was not bad. Seeking a simple process for compiling the kernel, here are the steps taken to compile a 3.4.5 64-bit kernel in order to update a virtual Ubuntu 10.10 running inside VirtualBox followed by a test on real hardware using the Acer Aspire One 722 netbook. The kernel was compiled in Ubuntu 10.10 64-bit running on real hardware, then the resulting .deb files were copied into the virtual machine to update the virtual Ubuntu 10.10 64-bit OS. For about the past two years, the Linux world seems to be in a state of confusion over which Linux distribution has the better desktop environment. Now that we have more choices with GNOME3, Unity, MATE, Cinnamon and others, Linux no longer has a distinctive “face,” but worse yet, the newer environments are often inferior to the older environments, such as GNOME2, that they were meant to replace. Different distributions often bundle a variety of significantly different environments that require more effort to pick up and use Linux now than it did when GNOME2 and KDE were the top two contenders. Now, it’s a war over “who has the better GUI” as radical ideas are incorporated to improve desktop appearance and apparent ease of use while trying to stand out from the crowd. Recording failures is often as important as noting successes in order to avoid repeated mistakes and for future reference. This is one such example of failed software. Browsing through the Ubuntu Software Repository revealed yet another gem dropping video game that appeared to be worth trying out for fun. It’s called Gem Drop X. Which is faster: Tuff n Tiny 8G or Xporter XT 8G? 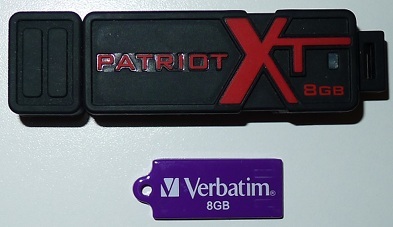 The Verbatim Tuff ‘n’ Tiny 8GB and Patriot Xporter XT 8G are excellent USB 2.0 devices for portable storage, but I noticed a speed difference when using the two. Curious to obtain measurable results, I performed a read and write experiment using these devices to find out which was faster. With the AMD Catalyst 12.6 video driver available, it seemed to be a good idea to give it a try on the Acer Aspire One 722 netbook to find out if the Ubuntu 10.10 suspend and hibernation issues were resolved. Catalyst 12.4 worked better. Even after installation in Ubuntu 10.10 64-bit running kernel 3.4.0, the 12.6 driver refused to work and only basic video was possible. However, the real challenge was fixing the video and restoring the 12.4 driver. This turned out to be much more involving than originally planned because booting the netbook always produced a solid screen of gray and green pixels even if recovery mode was chosen from the GRUB2 boot menu. What follows are the steps I took to install Catalyst 12.6 and the steps to remove it and restore Catalyst 12.4.